Our Signature Spas are some of the most elegant spas in the area. 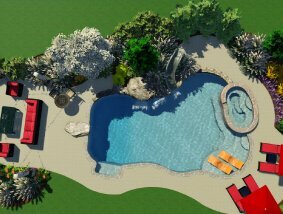 What sets us apart from other companies is the personalization that we put into each spa we build. 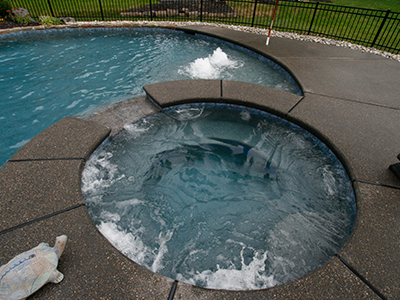 Crystal Clear Signature Pools offers a unique 2" coping with a polish finish around our spas making them stand out. 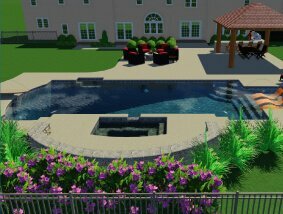 Whether you want a raised spa or same level, there is no doubt that the spa we build for you will stand out and will be a conversation piece for you and your guests. 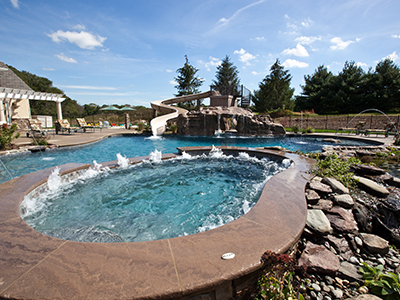 Contact us to add a custom spa to your pool in Montgomery County, Bucks County, or the surrounding areas.